GENEVA, July 18, 2017 /PRNewswire/ — Reflecting the continuous rise in demand for all Oud-related products, global interest in bakhoor has reached a new high in recent months — a fact not lost on forestry giant, Asia Plantation Capital. 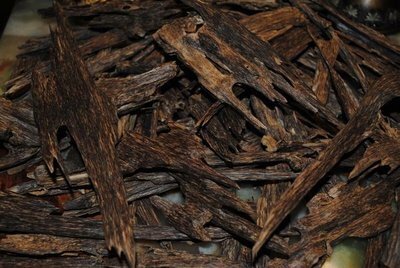 While Oud-based perfumes are now included in every top brand’s portfolio, and can be found all over the world, the demand for top quality, sustainably sourced bakhoor – agarwood/Oud chips or blocks, scented with oils and used as incense – has been led by the massive markets in the Middle East and China, and is now increasing due to interest from ‘the west’. 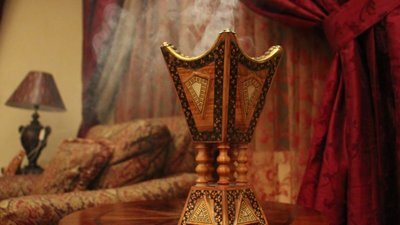 The burning of bakhoor has been a tradition in the Middle Eastern and Chinese societies and cultures for thousands of years. The burning of bakhoor has been a tradition – particularly in Middle Eastern and Chinese societies and cultures for thousands of years – and has now come to the attention of the rest of the world, where an ever-expanding consumer base is now fascinated by the exotic nature of one of natures most prized and valuable treasures. This means that the demand for agarwood and Oud products has increased appreciably, attended by the need to ensure that these products are sustainably sourced, ethically produced, with due respect for both communities and the environment. The multiple-award-winning Asia Plantation Capital, with more than 150 plantations either owned or under management worldwide, is in prime position to meet this demand with its 100% pure, organic Oud products that have set the benchmark in an industry valued at more than US$8.5 billion per annum. Furthermore, Asia Plantation Capital uses only real, genuine Oud, of known provenance — a refreshing approach in an industry fraught with illegal activity and unscrupulous practices. Asia Plantation Capital has been in research and development over the past five years in consultation with unique, innovative perfume brand, Fragrance Du Bois, and has evolved a set of products that will meet the needs of global, luxury brands for high quality bakhoor. By Kilian, a creative, luxury brand launched by Kilian Hennessy in 2007, and acquired by Estée Lauder Companies Inc. in 2016, launched its own range of bakhoor at the beginning of 2017 — sourced from and supplied by Asia Plantation Capital, with perfume oils created by Fragrance Du Bois. The association is a wonderful example of companies sharing core values, combining to create stunning products for a discerning market. The burning of agarwood chips is not limited to just formal occasions, it is also regularly used to fragrance homes. The demand for high-quality, sustainably produced bakhoor in the months ahead is set to mirror that of pure Oud oil in the perfume industry over the past few years. Companies such as Asia Plantation Capital — who have invested so much in making sure that supplies of genuine Oud and agarwood are around for generations to come — appear very well positioned to benefit from a significant, ongoing market expansion. The Asia Plantation Capital Group is a multi-award-winning sustainable plantation operator and management company, with projects across four continents, and a global workforce in excess of 2,000. A market leader in the industry, its Scientific Advisory Board is comprised of leading academics from various countries (China, Thailand, Malaysia, India, Switzerland and the United Arab Emirates), who have, between them, developed and patented industry-leading technologies and systems. With a focus on commercial plantation projects and vertically integrated businesses that offer a combination of commercial, environmental and community benefits, Asia Plantation Capital has created a successful and dynamic ‘triple bottom line’ company.